According to a recent scientific study, you can decrease the risk of having a stroke, diabetes type 2 or coronary heart disease by consuming 100 milligrams of magnesium on a daily basis. 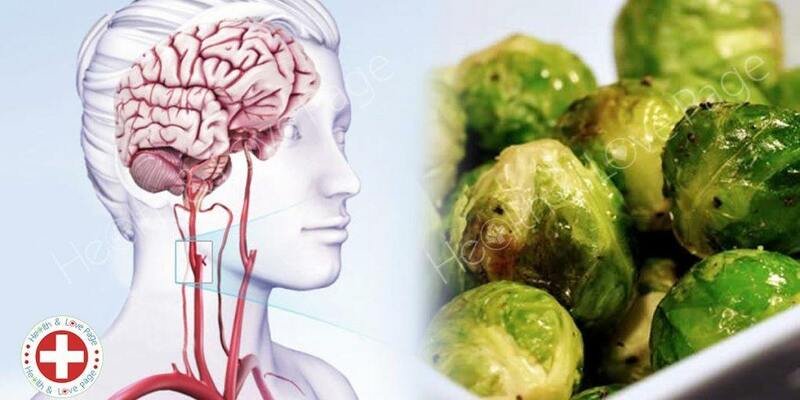 Chinese scientists from the Zhengzhou University and the Zhejiang University conducted a research about the impact that magnesium has on diabetes type 2, coronary heart disease and stroke. The results showed that participants who consume magnesium have 26% lower risk of diabetes type 2, 10 % lower risk of coronary heart disease and up to 12 % lower risk for stroke. The lead study author, Fudi Wang, Ph.D. explains that low levels of magnesium are linked with numerous diseases and ailments. At this point is it important to mention that there is no conclusive evidence for the link between overall health and dietary magnesium. The meta-analysis provides current evidence which actually supports the claim that there is link the magnesium and lowering the risk of health issues. Fudi Wang explains that the findings from the researchers will be crucial for informing the public. Moreover, the results of the studies are important for solving the issue with magnesium deficiency and health conditions that occur as a result of that. According to current guidelines, the recommend daily dosage for women is 270 mg magnesium and 300 mg of magnesium for men. Fudi Wang stated that despite the fact that doctors advice their patients about the importance of this mineral, about 15 % of the world population has magnesium deficiency. Researchers hope that this information will encourage people to take the sufficient amount of magnesium, but in same time they hope that this research would also provoke the policy makers to make a change in the dietary guidelines. Medical experts explain that the intake of considerable amount of saturated fat or high levels of LDL also known as bad cholesterol is the main cause of heart diseases. But, according to a innovate review made in 2013 the low levels of magnesium are the primary cause of cardiovascular disease. Andrea Rosanoff Ph.D is a scientist and the author of this 10 year review. It is important to mention that this review is based on previous research from Dr. Mildred Seelig. More than 40 years, Seelig studied the link between the cardiovascular disease and magnesium. Seelig explains that there are many scientific studies which have proved that there is link between low magnesium and cardiovascular risk factors, including high blood pressure, arterial plaque build-up i.e. atherogenesis, cholesterol, the calcification of the tissues that are soft and with the hardening of arteries. In other words, scientists have been going after high- saturated fat diet and cholesterol for all this time, but the real cause of cardiovascular diseases re low magnesium levels. Rosanoff stated that since 1957 there is an evidence that low magnesium is the cause of the calcification of soft tissues as well as atherogenesis. However, scientists and medical experts simply neglected and ignored this fact. So, nobody took this into consideration decided to fight against high saturated fat and cholesterol. Despite the fact that this research was evident, scientists still took a wrong turn. They created a different route about the approach on the cardiovascular issues and heart disease which resulted in entire populations who did not balanced the calcium intake with the magnesium intake. As Rosanoff asserts, the results of the studies showed that unbalanced amount of magnesium and calcium intake results it increased risk of heart diseases. Carolyn Dean is naturopathic and medical doctor and also a member of the Medical Advisory Board of the Nutritional Magnesium Association. Dean confirms that there are studies which have proved the obvious: cholesterol is not the cause of heart attacks. Why? Because during the last 2 decades doctors use statins for their patients. Besides that, heart disease is the number one cause of death in America. Ashley Koff is a member of the advisory board of the magazine Prevention and a celebrity dietitian. Koff made a note that over the last several years, medical experts became interested in magnesium and impact of this mineral to the organism. Magnesium is a critical nutrient for optimal health. Koff explains that when it comes to achieving adequate intake of magnesium, there are many challenges. It is important to mention that magnesium is part of the daily supplement of essential nutrients and studies proved that this mineral is crucial in prevention of cardiovascular diseases. In March 2017, scientists discovered that hypertension is the condition inversely linked with magnesium. Namely, that was connected with magnesium in children how live in the high altitude areas in Argentina. A placebo-controlled study that lasted 3 months discovered that the magnesium supplements improved the metabolic status of pre-diabetic and obese patients. Dr. Mehmet Oz is a professor of surgery and vice-chair at Columbia University. He became famous as a host of the Dr.Oz Show, a show that won the Emmy Award and also is nationally syndicated. Dr. Oz has has some opinion on the magnesium intake. Namely, he explains that magnesium has the ability to regulate the metabolism and in same time can dilate arteries and lower the blood pressure. He claims that 3 out of 4 people in America do not get the necessary amount of magnesium and that makes them magnesium deficient. The World Health Organization (WHO) recommends from 400-500 mg calcium on a daily basis, but Dean explains that you should make a balance the intake of calcium and magnesium in 1 to 1 ratio, and you also should take vitamin D with vitamin K2. This combination will protect your heart and your bones, as well. Wang conducted a study in which he analyzed data from 20 different epidemiological studies since 1999 to 2016. Fudi Wang looked at associations between all kinds of diseases and dietary magnesium. The ires were used to determine the levels of magnesium from 24-hour dietary recall. To be more precise, the questionnaires were used for self-reporting frequency of food varied widely. It is important to mention that factors such as lifestyle, study location, biological were all taken into consideration. The researcher made an analysis about the dose-response for the effect for each 100 mg daily increase of the dietary magnesium. The final conclusion of this study is that foods high in magnesium are beneficial for the overall health. At the press release, Wand stated that magnesium is crucial for the normal biological functions of human organism, including a synthesis of nucleic acids like DNA, glucose metabolism and protein production. When it comes to intake of magnesium, the primary source is the nutrition. Cocoa, spices, nuts, green leafy vegetables and beans are some of the foods that contain high amoutns of magnesium. Did you know that magnesium is the 4th most abundant mineral in human organism? In order to perform the normal function of muscle and nerve, more than 300 enzymes rely on magnesium. Magnesium is extremely important for the blood vessels (relaxes the blood vessels), energy, the sugar levels in the blood, regulation of insulin, bone formation and healthy teeth. In addition to that, magnesium helps the process of synthesizing of glutathione. This mineral helps the body to detox. Magnesium has a crucial role in the mitochondrial performance in the body. This mineral also improves the level of energy. In her book “The Magnesium Miracle” Dean recommends 200 mg on a daily basis. It is important to mention that magnesium might have a laxative effect, so you should parse it out in 2 or 3 doses. Some scientists recommend twice the amount above mentioned (400 mg). Still, when it comes to proper amount of magnesium, you should take under consideration certain factors such as gender and age.